Uber has introduced a new feature that allows the app to gather users' location data for up to 5 minutes after the end of the ride. Earlier before this update, Uber only collects location information during a passenger's trip and only while the app was running in the foreground. No data was collected after the drop-off. However, the company now intends to collect location information for the five minute period after the Uber ride — Meanwhile Uber asks customers to always share their location even when they aren't using the service. This new capability would technically allow the app to pinpoint users' precise location as long as the app is running in the background. However, the ride-hailing company claims it would only utilize this function to improve its services, according to an online platform - TechCrunch. Uber further claims that the new function will enhance customer safety by allowing it to monitor how frequently passengers must cross the street following a drop-off, which it believes presents a potential risk to its customers in scenarios with heavy traffic, for example. Despite Uber's insistence that the update does not pose a threat to the privacy of its users, many people have been a little bit worried about the development. In a Twitter moment, some suggested that the update was "creepy." 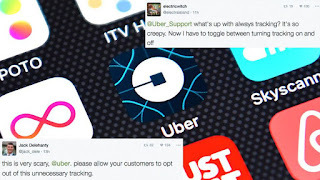 The Federal Trade Commission (FTC) received an official complaint from research and advocacy group Campaigners at the Electronic Privacy Information Center (EPIC) against Uber in June 2015 following the company's announcement of the new update. EPIC claims that the expansion of data collection threatens the privacy rights of consumers. However, the FTC did not take action against the company, and Uber has now proceeded with the changes via its latest app update. In an update published in 2015, Katherine Tassi, Managing Counsel of Data Privacy at Uber, writes that "users will be in control: they will be able to choose whether to share the data with Uber." The app does allow users to opt-out by turning off the app's location access. However, EPIC complains that this process "places an unreasonable burden on consumers and is not easy to exercise." Several online platforms has reached out to Uber for comment and we will update this post accordingly.